Civil Appeals encompass all non-criminal appeals including matrimonial and family law appeals, commercial appeals, real estate appeals, and estates, trusts, and wills appeals. The Law Offices of Seth Kretzer represents appellants in all post-trial matters at the state and federal levels. In the state of Texas, if a party feels that an error at trial affected the outcome of that trial, s/he has a right to appeal it. However, your window of time for filing an appeal is very short. Texas requires a Notice of Appeal to be filed within 30 days after the trial judge signs the judgment unless a Motion for New Trial was filed. If a Motion for New Trial was filed, the Appellant (party filing the appeal) has 90 days to file a Notice of Appeal. 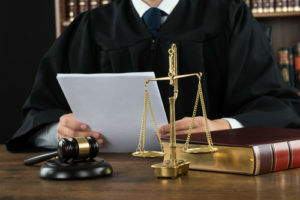 It is important for those involved in a civil legal action to understand that the appeals process is very different than the trial court process. In a trial court, both sides present their arguments to the court in order to establish the facts of the case. In an appeal, the appellate judge must decide if the trial judge misinterpreted the law when rendering his or her decision. In most cases, the civil appeals process involves only legal briefs which have been written based on extensive legal research. However, in some cases, the appellate judge will request oral courtroom presentations for further clarification. Your civil appeals lawyer will only have one crack at defending or promoting your position. Therefore, it is imperative to work with an experienced Texas civil appeals attorney who is skilled in legal research, can effectively interpret the law to your benefit, and can present compelling written and oral arguments. There are many stages associated with the appellate procedure and missing even one can have disastrous implications. At the Law Offices of Seth Kretzer, our talented civil appeals lawyer will devote himself to your case for the most successful outcome possible. Having handled numerous appeals claims each year, Seth fully understands how the process works, how to collect vital legal research, and what is needed to present a winning argument. Do you have a legal matter facing the court of appeals? If so, please contact the Law Offices of Seth Kretzer, Texas criminal appeals lawyer at 713-775-3050.